Attention: It is necessary to provide a copy of the passport or other document confirming the identity upon check-in. 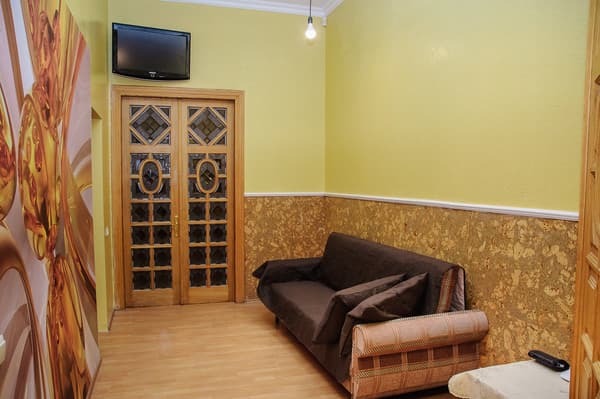 Golden Globus Hostel is located in Kiev, a 4-minute walk from Zoloti Vorota Metro Station. 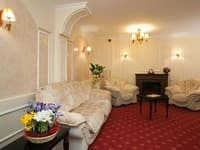 Guests are offered accommodation in cozy double or multi-bed rooms that are decorated in European style. Each room is equipped with beds and bedside tables. There are two shared bathrooms for guests, which are equipped with a washbasin, bidet, washing machine, shower or bath. 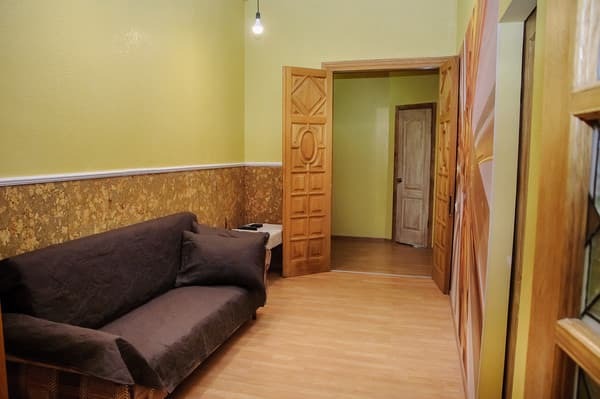 Hostel "Golden Globus" has a common fully equipped kitchen, where guests can cook on their own. Free Wi-Fi is available throughout the property. Guests have access to a free safe deposit box for valuables, free unguarded parking, an iron and ironing board are available upon request. There is a café within 5 minutes' walk from the hostel, where you can order à la carte meals. 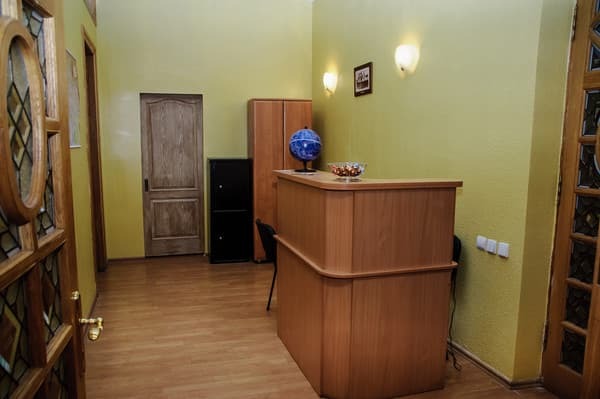 Hostel "Golden Globus" is located 1.2 km from the Independence Square. 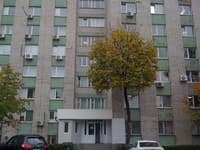 The distance to the railway station is 2.4 km, to Boryspil Airport - 44 km, to Zhuliany Airport - 7.2 km. 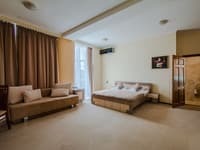 Description of the room: Cozy six-female room. 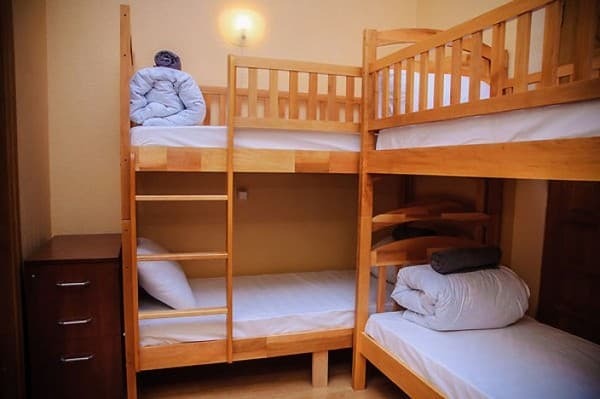 The room is equipped with bunk beds with orthopedic mattresses, bedside tables and a mirror. Bed linen and towels are provided. Description of the room: Cozy four-bedded room. 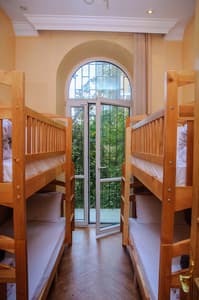 The room is equipped with bunk beds. Bed linen and towels are provided. 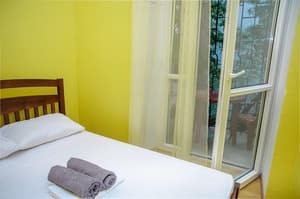 Description of the room: Cozy double room with balcony. The room is equipped with a double bed with orthopedic mattress, bedside table and mirror. Bed linen and towels are provided. Description of the room: Cozy four-bedded room with balcony. The room is equipped with bunk beds, bedside tables and a mirror. Bed linen and towels are provided. 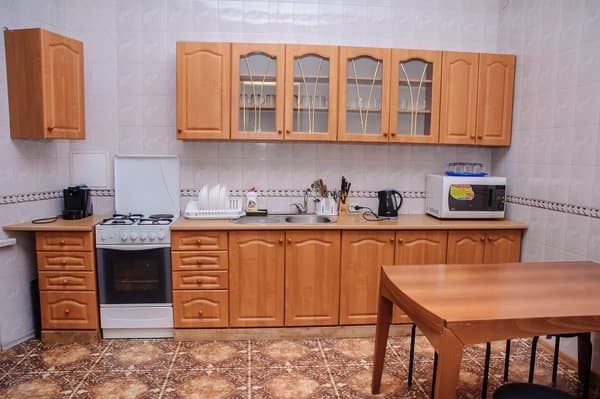 Hostel "Golden Globus" has a common fully equipped kitchen, where guests can cook on their own. There is a café within 5 minutes' walk from the hostel, where you can order à la carte meals. 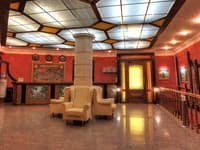 Hostel "Golden Globus" is located 1.2 km from the Independence Square. The distance to the railway station is 2.4 km, to Boryspil Airport - 44 km, to Zhuliany Airport - 7.2 km. From the hostel "Golden Globus" to the center of Kiev you can get a trolleybus №6, №16 and №18. 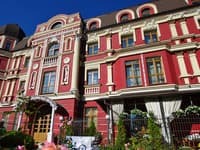 From the railway station to the hostel you can take a taxi №24 and number 114, as well as by metro along the red branch from the metro stop Teatralnaya, get off at the station Vokzalnaya.